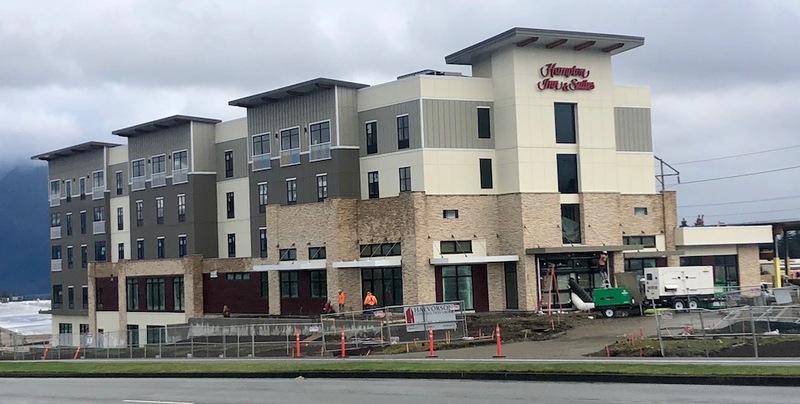 It’s a sprint to the finish line, but the owner of Snoqualmie’s new Hampton Inn, Chun Lai Hospitality, has a goal to open in 2018. We took a hard hat tour of the hotel on November 30th and here’s a bit of what we learned from the management team. Currently there is a tentative soft opening date slated for December 22nd, but General Manager Yvonne Gilbert recognizes it is an ambitious goal and there’s still A LOT to do. A crew of approximately 100 workers are on site 12 hours a day trying to get the 99 room hotel open in 2018. The guest rooms are nearly all finished, with multiple different styles in the mix. Gilbert said for a small hotel, they have a variety of room offerings including standard king and double queen; larger studio king and double queen with pull out sofas; corner studio king and double queen with sectional sofas and walls of windows; king with pull out sofa; and also adjoining room options. All rooms are spacious, have a wet bar area, refrigerators, and sliding barn-style, mirrored bathroom doors. 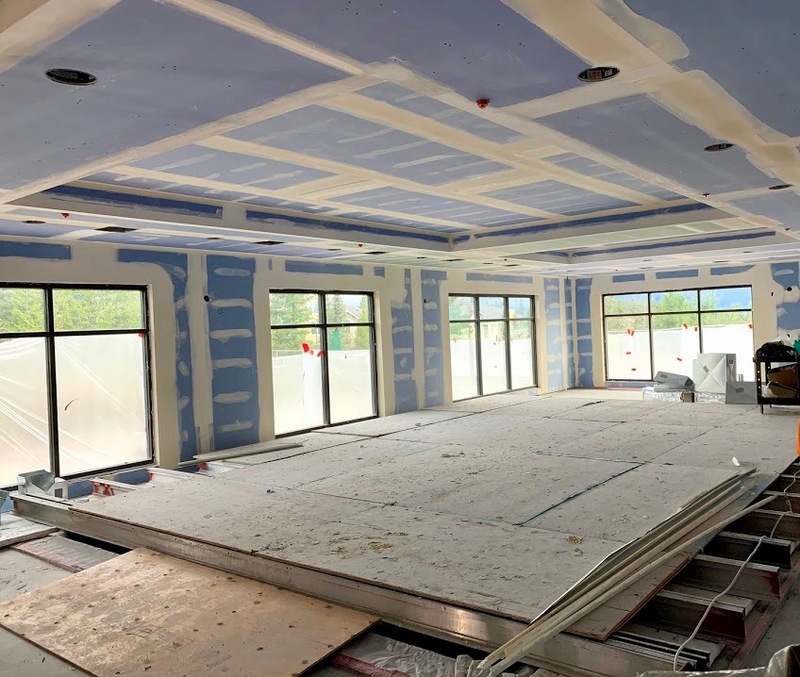 Most of the remaining construction work is occurring on the main floor where the lobby, front desk, breakfast room, kitchen, board and meeting rooms are located. The lobby includes a large fireplace, tile floors that simulates hardwood planks, two entrances and lots of windows. Crews are finishing up the outdoor patio areas that will include a gas fire pit. The driveway entrance will also have a large water feature. 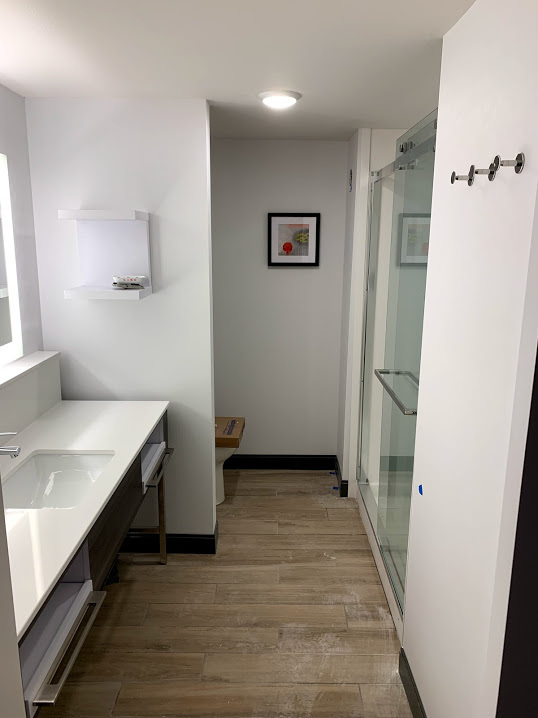 Gilbert said in order to open – even for a soft opening – they have to meet Hilton standards, which means 75% of the facility must be finished and the main floor must be completed, along with the downstairs exercise and laundry rooms. Some downstairs guest rooms and the pool will likely be completed within the first couple of weeks that the hotel is open. Meanwhile, across the entry driveway, work is continuing on the adjacent retail/office building. 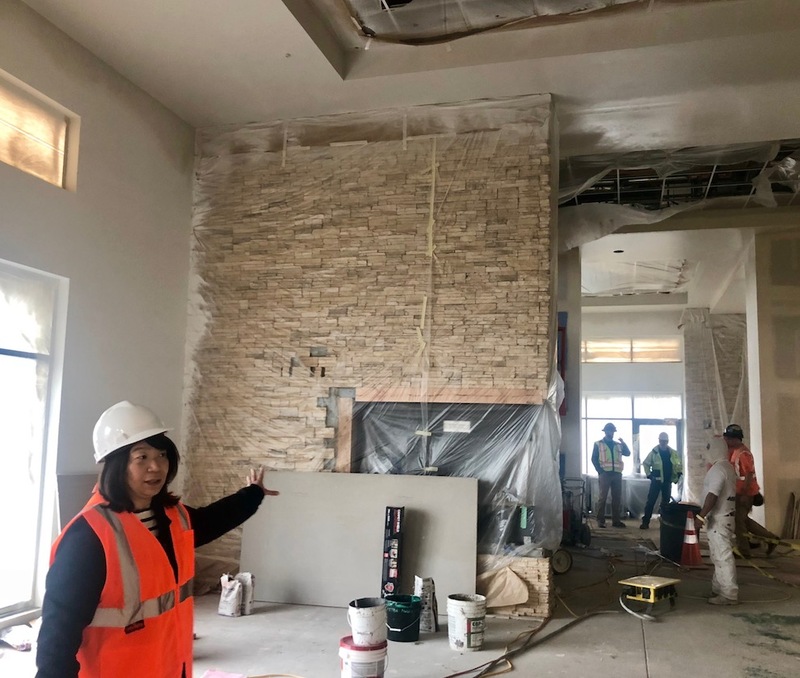 The second floor office space will become the corporate offices for Chun Lai Hospitality. Downstairs will be divided into two retail spaces. The retail spot closest to the hotel will be home to a new coffee company called America’s Best Coffee, run by the daughter of the developer. She also owns four other coffee shops called Honor Coffee in Bellevue, Seattle and Federal Way. The new coffee shop is expected to have food options and will do coffee roasting on site. The other retail spot is still to be determined. The retail/office building will open after the hotel. 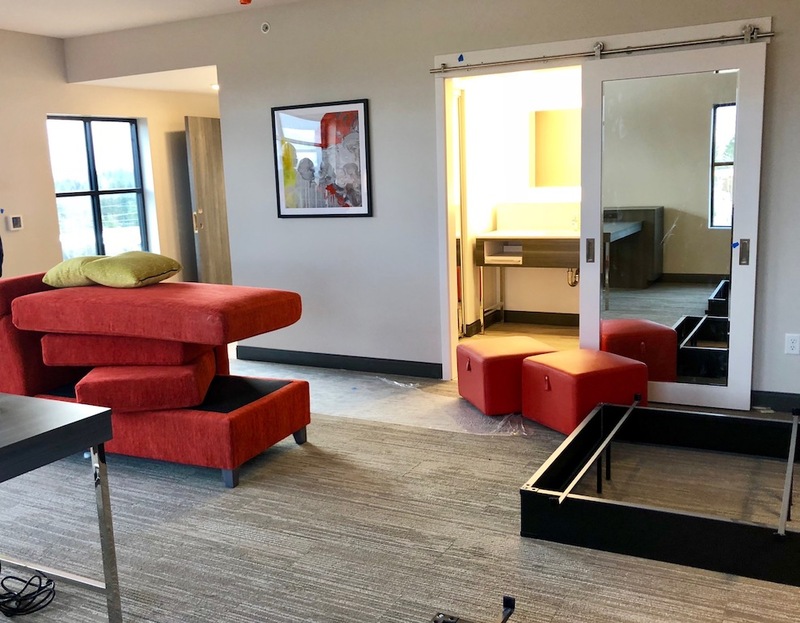 The Snoqualmie Hampton Inn is a Hilton franchise. Gilbert said they plan to always be a Hampton Inn and are prepared to meet strict Hilton requirements in order to keep it that way. Snoqualmie Hampton Inn Sales Manager Rose Rivera said they are already meeting with local companies regarding meeting room rentals. 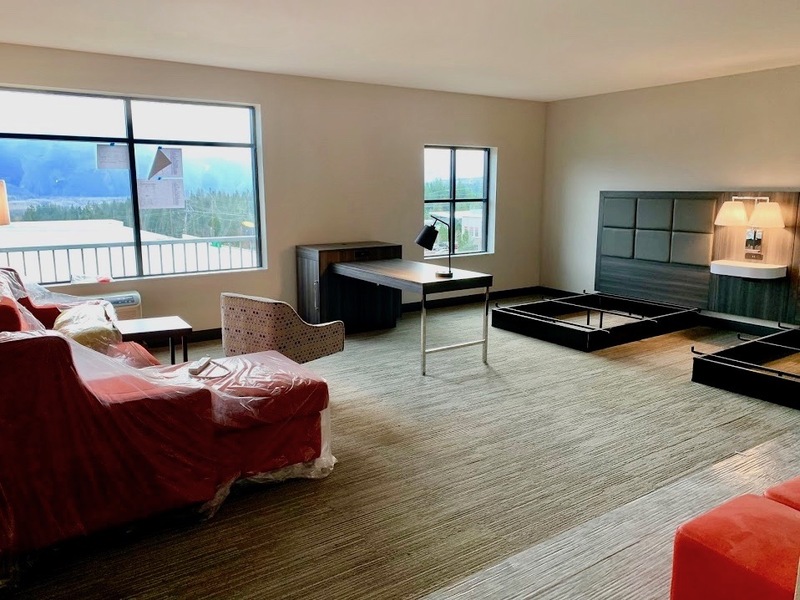 They have not opened the reservation system for the hotel yet, but said prices for rooms during peak season (at their ‘best rates’) will likely be $214 – $284 per night depending on the room. Rivera said they looked at hotel prices in Issaquah and even Redmond to set their rates. The owner of Chun Lai Hospitality, Mr. Hou, also owns Mountain Meadows Farm in North Bend. He started multiple businesses after moving to the area from China in 2012, including a technical college in Bellevue and is also trying to launch an agriculture college on the Mountain Meadows Farm property. 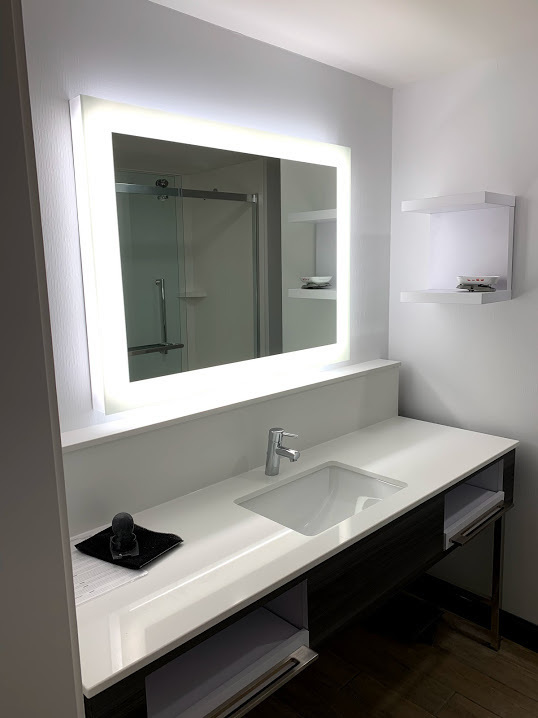 In addition to the Hampton Inn, Chun Lai Hospitality is also building new hotels around the state under their own brand – Hotel America. Since we’re also getting low income housing right next to the new elementary school, can we also get a smoke shop, a payday loan service, and a Goodwill? That will really round out the “diversity” of the Ridge. There’s a relatively large contingent that share the sentiment. I don’t have any knowledge of prostitution like some but I hardly think it’s going to a red light district on the ridge. Low income housing has always been part of the master plan of Snoqualmie Ridge and low income people have kids that go to school and need a home. Goodwill does not harm anyone or anything unless 2nd hand goods make you break out in hives. These people have bought the land and invested in a business that they feel will make money. Feel free to do the same thing.